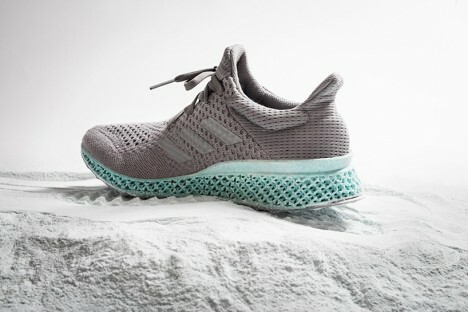 For the COP21 conference in Paris, Adidas decided to rethink oceanic garbage, turning it into raw material for new 3D-printed footwear, with textures and colors hinting at its unusual origins. 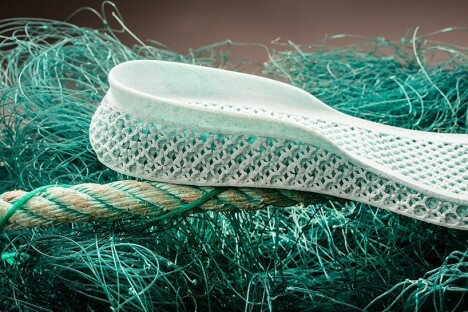 The shoe consists of an upper made with ocean-harvested plastic and a 3D-printed midsole made from recycled polyester and gill nets, part of a larger exploration process the company is pursuing for reused materials. 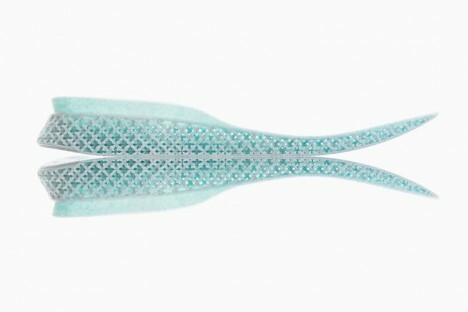 The company says there is no reason to stand on the sidelines, even if political action is taking place internationally, and that business leaders need to step up and lead environmental efforts as well, in and beyond the footwear industry. One could argue that this is still a small step, or a greenwashing effort, but it at least shows the potential for new technologies to transform old manufacturing habits. See more in New Materials or under Science. December, 2015.